When Susan and Aaron asked us to photograph their rustic outdoor wedding at the Columbia Country Club, we were beyond excited. 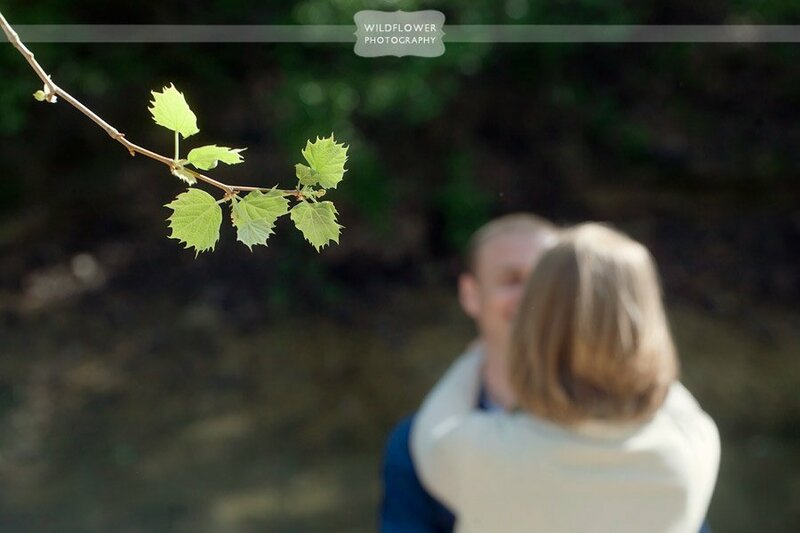 When we learned that they wanted to do their engagement photography shoot along the Hinkson Creek at Grindstone / Capen Park AND bring along a guitar and banjo, our minds started overflowing with ideas! 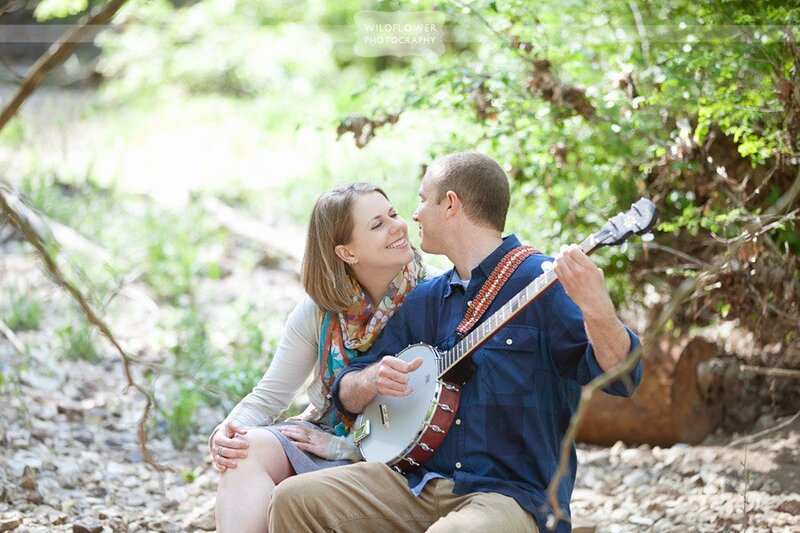 Grindstone Park has so many lovely locations for portraits… from romantic tall grass fields to rocky creekside beaches, add musical instruments to the mix and the possibilities are endless! 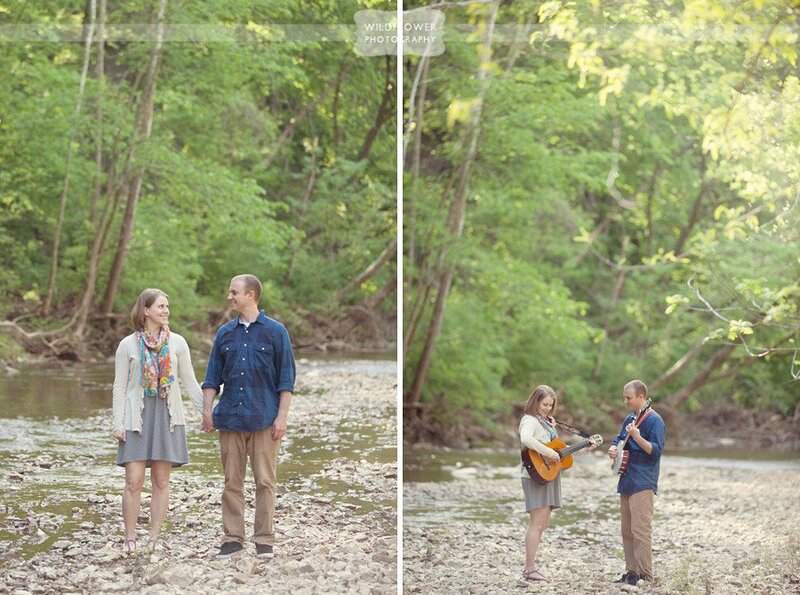 We had so much fun listening to these two play music, attempt to catch fish, and walking along the Hinkson trails… we can’t wait for their wedding next month!